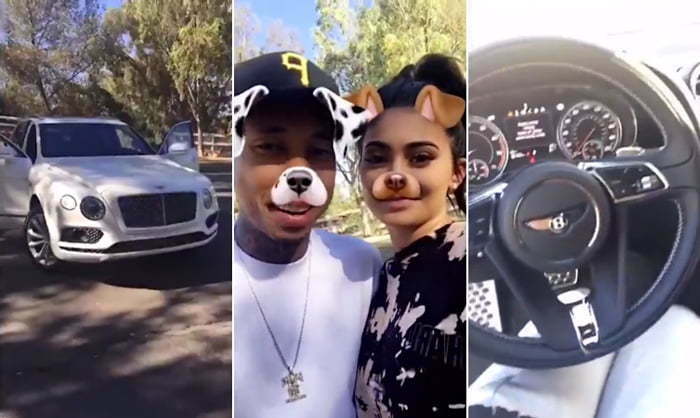 Tyga is seeing an early Christmas thanks to his very rich girlfriend Kylie Jenner, who just bought him an ultra expensive Bently Bentayga SUV. The makeup model and reality star drove into the dealership yesterday just as news broke that her boyfriend’s Ferrari was being repossessed. 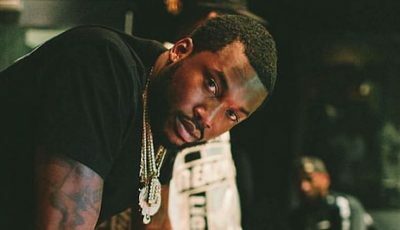 The Bently cost north of $300,000 and could be more expensive with options. This news helped cushion the Ferrari repo blow for Tyga who allegedly missed several leased payments, which Kylie says is a false story. Tyga appeared to be speechless as he shows off a few happy dance moves and gave his girlfriend a thank you kiss. Both Tyga and Kylie are lovers of expensive cars and regularly bought each others whips as gifts. Just this summer, Tyga bought her a Mercedes Maybach for her 19th birthday. Despite being hit with several lawsuits and other financial woes, Tyga seems to be still be able to live like a king.